So it starts Abraham Lincoln from a very young age where he didn't approve of a slave child being beaten. This has led to his father being fired from his job and later on in the night, his mother killed. After growing up to a young man where his father had already died, he intends to seek revenge for his mothers death. But he learned the truth the hard way that who he was trying to kill is actually a powerful being...a vampire which he does not possess the skills to kill him. Along came Henry Sturgess, a person who on purpose met with Abe at a bar and saved Abe from his death. 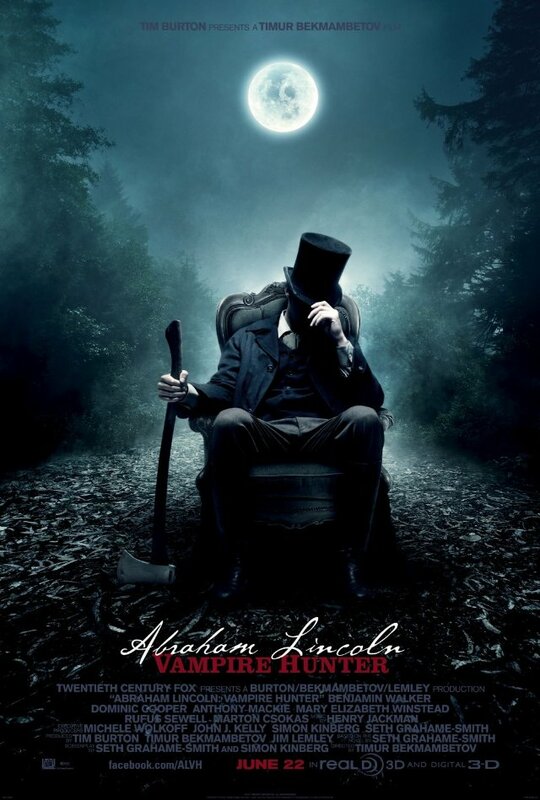 Henry explains more about vampires and recruits Abe to be a vampire hunter. He trains Abe for a very long time until he's highly skilled in killing vampires and sends Abe off to Springfield on his mission to kill vampires. Abe lives a life that doesn't attract unwanted attention as a shopkeeper's assistant and carries out his duties during the night by following the instructions on who to kill through letters sent from Henry. Night after night, he was hoping one day to get the chance to confront Barts, the man who killed his mother. This story is quite unique to me on how they manage to turn Abraham Lincoln into a vampire hunter and hero and how inside the movie, it contains certain truths to Abraham Lincoln's important history in his life. The actions in the movie are not bad either which makes it as watchable as the movie Safe, only this action has a lot of slo-mo action so you do see the fights clearly while Safe is all fast pace and blurry at times so you don't know what happened. If you like Safe, you'll like this too because it has it's own unique storyline, it has it's prime hero which is nothing in the movie without it and it has nice action scenes to watch. I give this movie 3.5 stars out of 5. No le. Not scary. LOL.